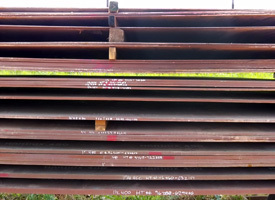 With sheet sizes as small as 20 gauge and plate sizes as large as 6” in stock, with sizes ranging from 4’ x 8’ through 10’ x 30’ in our inventory we can easily supply you with material specific to your job. 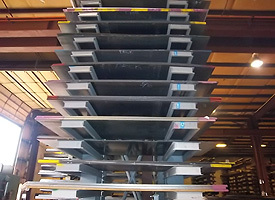 Larger & Thicker plates are commonly ordered by request for larger jobs when needed as well. 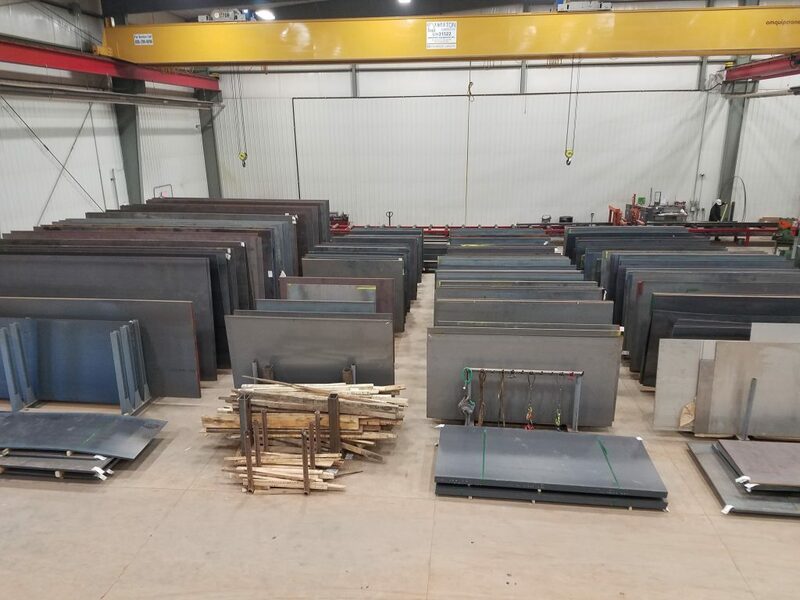 We also have in stock different grades of material ranging from A-36, A572, SA516, A514, A633C on hand as well as our lineup of Hardox wear plates. If desired or needed, our material can be formed to shape or specification. Be sure to contact us if you have specialty needs, as we can often address those as well. With our industry knowledge if we do not have on site we can easily find it in a timely manner to meet your deadline.